Andy and Nadia both look about 27…. 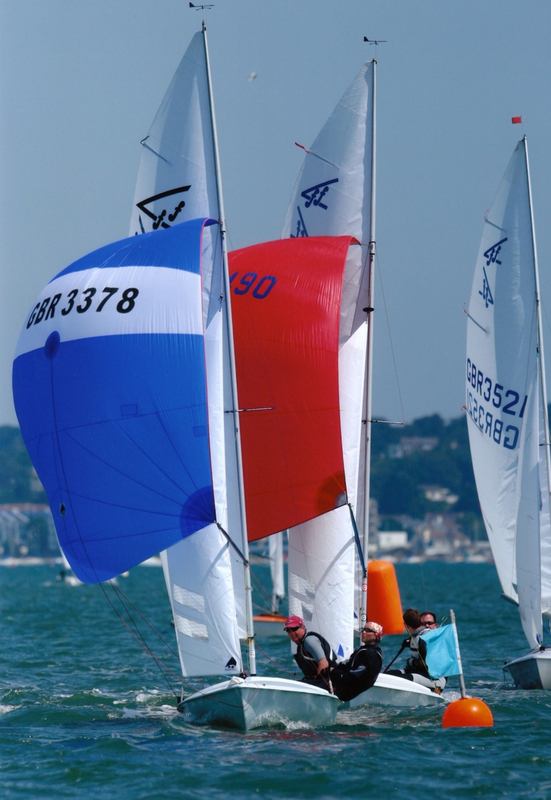 I’m here to tell you a few things about sailing a silver flying fifteen at Datchet. In fact, it has been suggested that I become some sort of ambassador/lord/high master emperor for the silver fleet so how could I refuse that! So, silver flying fifteens…. For those of you who are new to flying fifteens or thinking of buying one, no that’s not the colour of the hull… It’s a rather good idea by the Association to split the fleet into sub-fleets taking the boat’s age into account. 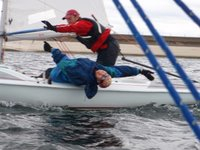 This only applies to the boat and not the owners, … you don’t get bonus points for sailing a silver boat with silver hair! So, “what is a silver boat and so what?” I hear you cry. 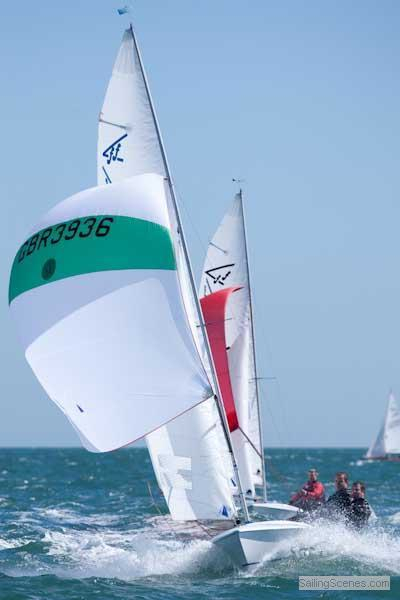 Well if you happen to own a flying fifteen with a sail number between 2700 and 3400 you have one already. That is unless you want to race anywhere else in the world in which case it has to be between the numbers of 2700 and 3200. My boat is 3378 and so I have a silver boat in Britain but not in France, or Spain, or Australia, or anywhere else that has good weather! I think we’re still ok in the Isle of Wight though!! Firstly, purely for selfish reasons, we’d like some more silver boats to race against please. Secondly, we have real trophies for silver boats in all series and competitions. Yes that’s right, REAL SILVERWARE,… not just a bottle of Bulgarian merlot and a book token. Thirdly, you are guaranteed good close racing in one of the largest man made ponds in the Queens back garden. She doesn’t mind, just watch your language when you pass close to ‘one’s castle!! 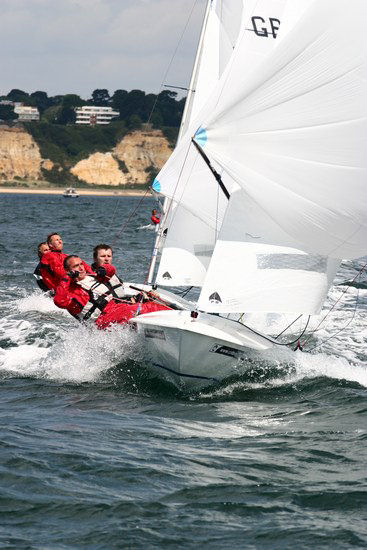 Fourth, the flying fifteen helms and crews at Datchet are some of the most friendly you will find in any club. We have fathers, sons, husbands, wives, old and…not as old, and even a Russian (don’t worry she’s on my boat, just try not to overtake us please!) We’re all keen on improving the fleet in our numbers and our technique, and help is always freely given on tuning and skills. Lastly, there’s nothing quite like overtaking new boats in your older silver bullet. Brings a lump to the throat and tears to the eyes…of the new boat’s owner that is. And that my friends, is why I still have a silver flying fifteen. If you don’t have buckets of cash and more duck houses than you can eat, then buy yourself an older boat and you can still compete. Racing with boats of the same age keeps the costs down. Believe me, you can still keep up and even overtake a new boat given the right conditions. I should know, I’ve upset loads of flying fifteen royalty in my silver boat. Taking all this a step further you can always take part in the excellent events all over the UK. We often travel with my boat to various open meetings and championships. If you really want to improve, this is where to hone those skills. If this takes your fancy, Datchet is perfectly placed to travel from. Once out of the dinghy park, you’re on the M4 and praying the boat’s still on the back when you get to most of the UK within 5 hours. Or 30 mins if you’re Adam Mangan! 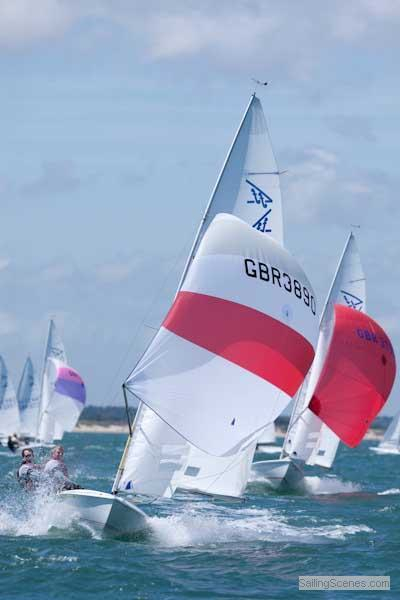 To summarise, if you want good, competitive, social, cheaper fleet racing, with a chance of some real silverware to show off to your friends (even as an excuse to why you missed the family bbq)… then buy a silver boat and bring it to Datchet for some quality silver fleet racing. If you don’t, I’ll set the Russian on you!